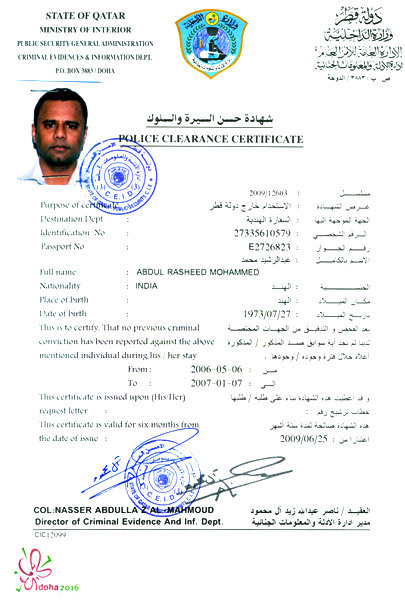 A police certificate is an official document issued by police or government agency of a country to enumerate any criminal records that the applicant may or may not have. Criminal records may include arrest, conviction, and possibly criminal proceedings. 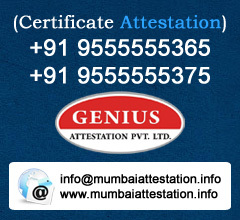 Police certificate is also known as good citizen certificate (in HK), good conduct certificate, police clearance certificate, or judicial record extracts. Applicants may have to submit fingerprints and certain personal information to request a criminal record check, and the police or government agency may charge a fee. 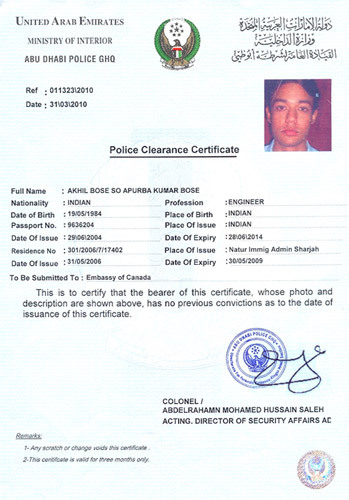 If no record found, the police certificate will indicate such..
A police certificate may or may not have period of validity itself, and criteria for validity varies for each country. Australia, for example, recognizes police certificates for 12 months from their issue dates for both visa and citizenship applications, independent of any validity period noted on the certificates themselves. As in many countries, this practice is neither mandated nor noted in any legislation; rather, the approach has simply been adopted by Australia's Department of Immigration and Citizenship for the sake of consistency across varying jurisdictions.